Here at the Desert Palms Hotel we believe everyone should start their day off right with a great breakfast. That’s why we offer a free hot buffet breakfast for all our guests. From 6:30am to 10:00am every morning we offer a delicious and filling meal, so you can start your Disney day right. While the spread changes daily, you can expect to see your favorites in our breakfast room including eggs, sausage, potatoes, oatmeal, toast, and make your own waffles. We also have cold items such as yogurt, cereal, muffins or pastries, and fresh fruit. Don’t forget the coffee and fruit juices! 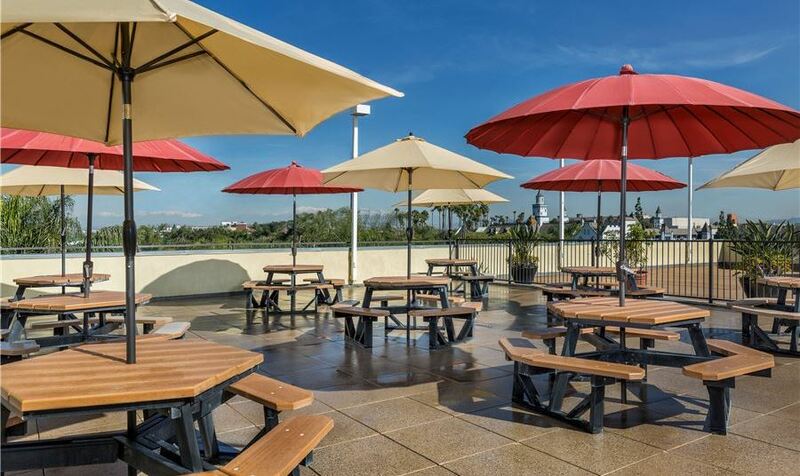 You will enjoy your meal in our spacious breakfast room or scenic patio with views of Disney’s California Adventure park and the distant mountains. We hope you will be joining us for breakfast soon!